See photos and images of Haitian politicians and read news articles related to each Haitian politician. See images of Haitian senators, deputes, presidents and more. 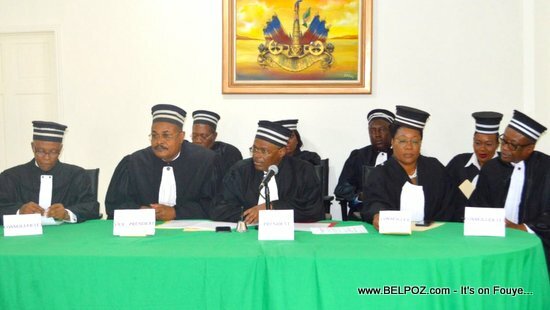 Belpolitik is a Haitian political website that offers news, topics and discussions about Haitian politics. "Ex. 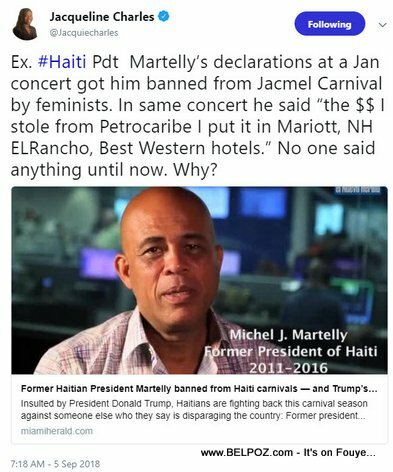 #Haiti Pdt Martelly's declarations at a Jan concert got him banned from Jacmel Carnival by feminists. In same concert he said "the $$ I stole from Petrocaribe I put it in Mariott, NH ELRancho, Best Western hotels." No one said anything until now. Why?" Take a look at this photo... #PetroCaribeChallenge made noise at the 2018 New York Labor Day parade. 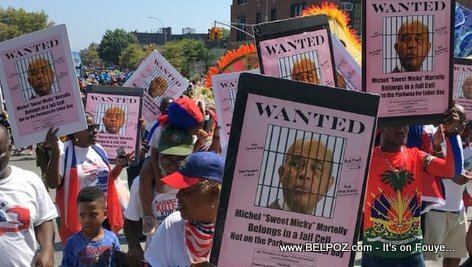 A small group of Haitian protesters were in 'Manifestation Mode' against ex Haitian president Michel 'Sweet Micky' Martelly who was performing live at the Labor Day Parade on Eastern Parkway. 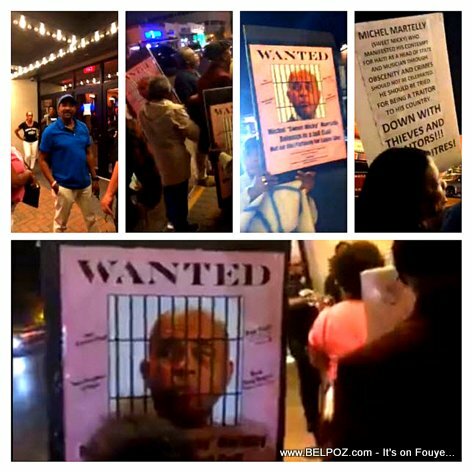 Here are some photos of a group of Haitian protesters in Long Island New York protesting in front a venue where former President Michel Martelly (Sweet Micky) was scheduled to perform asking for where is the PetroCaribe money. Here is a photo of Haitian Senator Rony Celestin (Centre, PHTK) speaking on the Senatre floor. 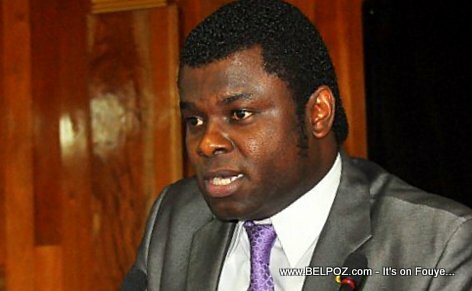 Senator Rony Celestin was elected Depute of Cerca-la-Source twice before he was elected Senator of the Republic. 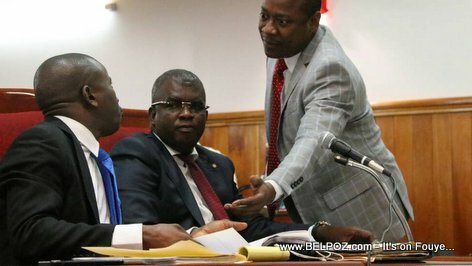 Here is a photo of Haitian senator Rony Celestin looking as Artibonite Senator singer Gracia Delva reaches for something from an unidentified senator sitting next to Senator Rony. 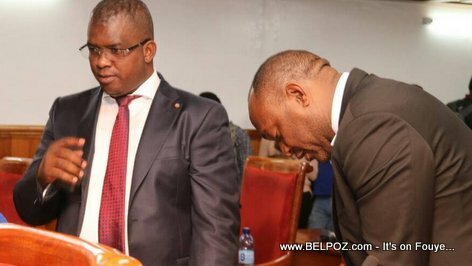 Here is a photo of Haiti Centre senator Rony Celestin and Artibonite Senator Youri Latortue at the Senater of the Republic. 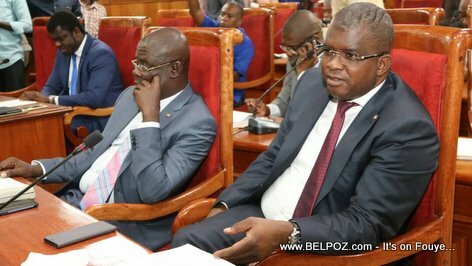 Here is a photo of Senator Rony Celestin, first senator of Centre Haiti, and Senator Onondieu Louis, first senator of Nord Ouest Haiti, during a senate session. Sitting next to Senator Onondieu from a distance is Senator Jean-Marie Salomon with his head down. 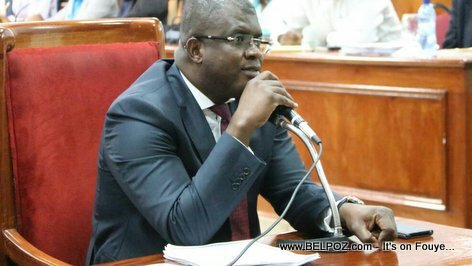 Voici une photo du sénateur Rony Celestin, premier sénateur du Centre Haïti, et du sénateur Onondieu Louis, premier sénateur du Nord Ouest Haïti, lors d'une séance du Sénat. 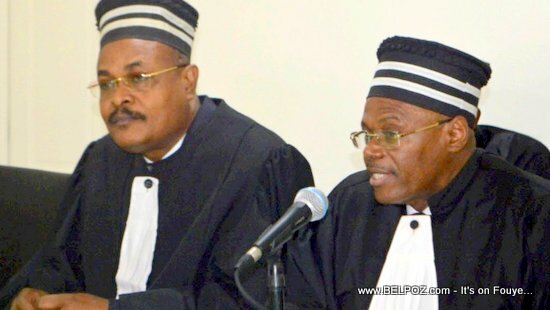 A côté du sénateur Onondieu, à distance, se trouve le sénateur Jean-Marie Salomon, la tête baissée.